This was built by the Wofford Oil Company, known as Woco Pep. Wofford was affiliated with the Pure Oil Company. 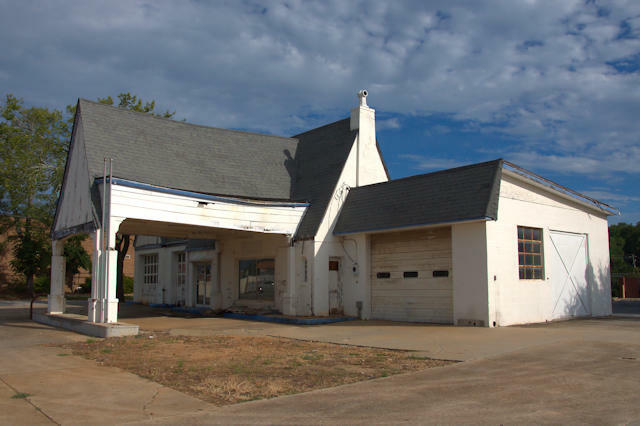 When Pure Oil merged with Union Oil in 1973, the station was slated for closing, but Martin White, who had managed the property since 1941, purchased it and kept it open for many year thereafter, at least into the late 1980s. Love that roofline! I’ve always wanted to turn a Pure station into a residence.